Incredible set of 2 rural houses located 20 km. of Burgos. Completely rehabilitated, they have reused the stones of existing masonry in the original building. The perfect place to enjoy with friends or family. The first house has a living room of 35 m2 approx. 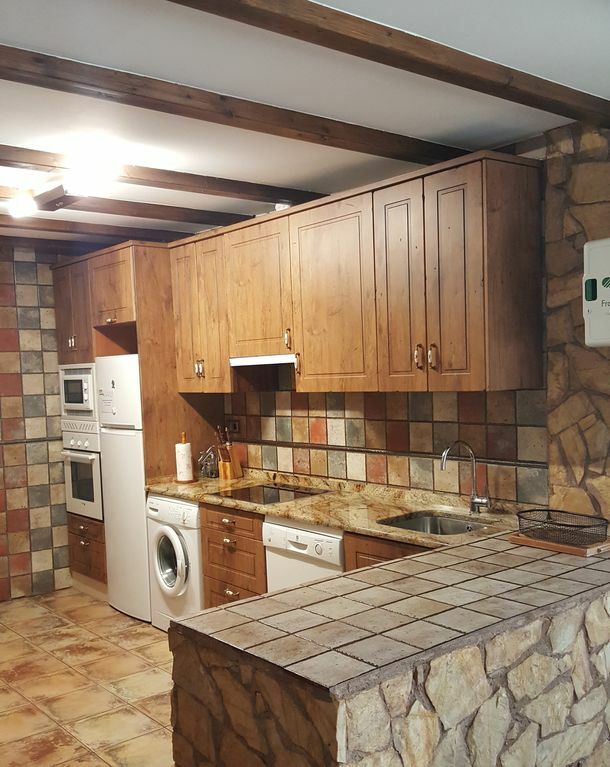 fully furnished, with fireplace, TV, sofa, side table, dining table, chairs, etc, fully equipped kitchen (fridge, washing machine, dishwasher, ceramic hob, microwave, blender, ..., as well as all utensils and kitchenware) cleanliness. The upper floor has 3 bedrooms (1 double and 2 doubles), all with their corresponding bathroom inside the room. The second house has a fully furnished living-dining room with fireplace, TV, sofa, side table, dining table, chairs, etc., fully equipped kitchen (fridge, washing machine, dishwasher, ceramic hob, microwave, blender, ...), as well as all the utensils and kitchenware) and bathroom. The upper floor has 3 bedrooms (1 double and 2 doubles), two of them with their corresponding bathroom inside the room. Outside we have picnic, with its corresponding fireplace / barbecue, and a large garden. A perfect place to enjoy and get rid of stress. With the joint rental of both houses we adapt a table in the living room spacious enough to accommodate the 12 guests of the two properties. Parking is next to the properties in a quiet area. - Arrival time: from 3:00 p.m. to 9:00 p.m.